Webguru Infosystems is a process-driven, ISO 9001:2015 certified, Web Application Development Company with a proven track record of delivering robust Web Apps to a global clientele for over a decade. 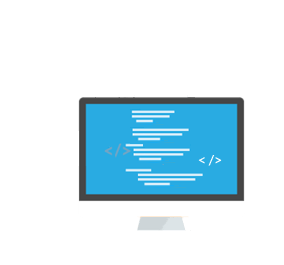 Our web applications are built using the best programming practices, latest frameworks and proven coding guidelines to ensure they are business-driven, user-focused, and highly optimized. We have an experienced team of full-time web application developers who continually produce robust and highly flexible web apps to enhance your business growth. It takes a lot of brainstorming, conceptualization, and ideation to provide successful web application development services to any business. Our team of software architects, developers, testers, project managers and quality assurance specialists work unanimously via constant interaction and unmatched attention to deliver a successful project. Hire our web application developers to avail quality services on time. Be it enterprise web application development or eCommerce application development, we are adept at providing customized solutions for each. Webguru Infosystems has a high reputation as an advanced Web application development company in India. Our team agility, robust development infrastructure and on-time deliveries have made us a trusted website development company for different industries. Web Application For Cake Stores You can buy delicious cakes for all occasions from this eCommerce store. A Website Detailing Yoga Techniques Learn about yoga asanas through training at the yoga school & workshops. A Website On Travel Industry Find out various adventure events or locations in Norway. Our punctuality and cost effectiveness make us an apt choice for our clients. Our expert developers stay updated and thoroughly at par with the latest trends. The project managers remain in touch with you right from proposal to project sign-off. We stand by our services for bug fixing and related issues, if any. With the growing versatility of the online space, the web app-building process has become even more complex. In today’s world, a basic online presence of a brand is not sufficient to reach the maximum number of customers as the latter prefer websites that are navigable, functional and updated according to the latest technological trends.